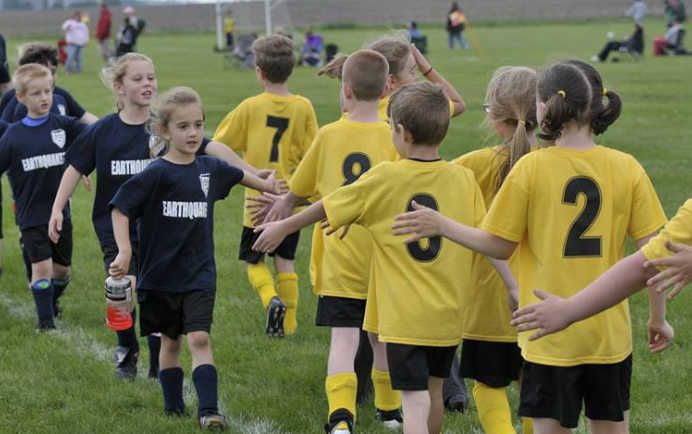 Kaneland United SC is a community focused soccer club, providing area youth with recreational and competitive soccer opportunities, recreational referee development and soccer coach training and development. With a strong community focus and emphasis on development, the Club attracts players from Sugar Grove, Elburn, Kaneville, Maple Park, Cortland, Virgil, Lilly Lake, Campton, St. Charles, Geneva, Batavia, Aurora, North Aurora, Big Rock, Hinckley, Virgil and Montgomery. Current Club fields and programs are hosted at Kaneland High School on Keslinger Rd in Maple Park IL. Kaneland United SC is a community focused Club and believes a component of youth development includes volunteerism and working with other community organizations. Information on the Club's activities can be found on the Kaneland United In The Community Page. The Club is a registered 501c3 Not For Profit corporation and was incorporated as the Kaneland Youth Soccer Organization (KYSO) in 2008. The Club's history extends back to 1990's as an AYSO affiliate. The Kaneland United Soccer Club (KUSC) was formed in 2011 as a division of KYSO and to provide a higher level of soccer development and training for area youth. The Club is led by an all volunteer Board of Directors who provide time and talent to organize and operate the programs. The Board is joined by volunteer recreational and competitive coaches who work with the players and who are supported by committed and licensed trainers.